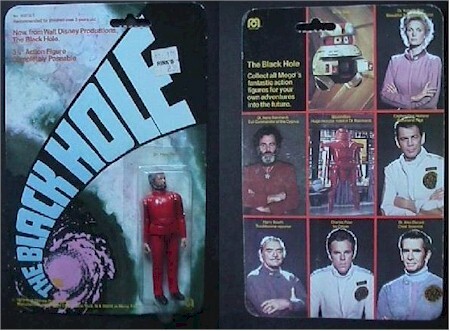 In 1979, Disney completed the two-year production of The Black Hole. The plot was pretty good. The explorer craft U.S.S. Palomino is returning to Earth after a fruitless 18-month search for extra-terrestrial life when the crew comes upon a supposedly lost ship, the magnificent U.S.S. Cygnus, hovering near a black hole. The ship is controlled by Dr. Hans Reinhardt and his monstrous robot companion, Maximillian. But the initial awe that the Palomino crew feel for the ship and its resistance to the power of the black hole turn to horror as they uncover Reinhardt's plans, which involve turning his former crew into robots and flying through the hole. As they try to escape, a meteorite shower damages the ship, and the survivors hang on as they are plunged into the most powerful force in the universe, heading toward the looking black hole. After having missed the boat on the Star Wars action figure line, Mego was grabbing up as many movie and television rights as it could find. Sci-fi was red hot and this was going to a big hit they hoped. 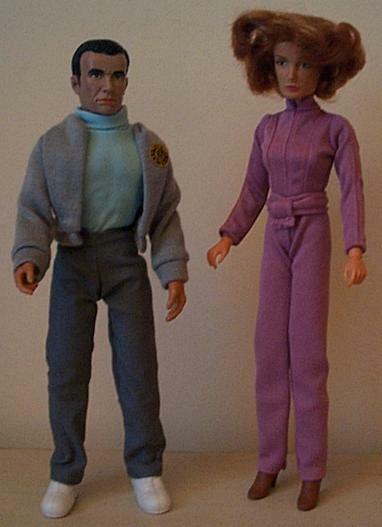 Mego released 3 3/4" action figures as well as a large, 12" series. Unfortunately, the movie did not do as well as hoped, nor did the toys. The robots were pretty cool, but compared to Star Wars, there was no competition. 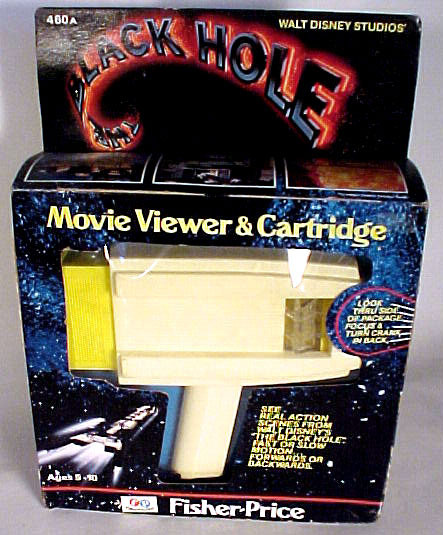 Fisher Price also released a movie viewer toy in 1979. Pretty much identical to their other models with some pretty neat footage on the cartridges. Fisher Price Movie Viewer Did You Know? 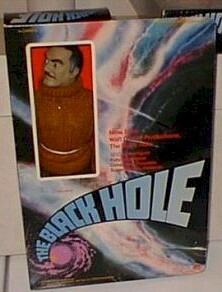 Mego released a total of twelve 3 3/4" action figures for their Black Hole line. The first release included Captain Holland, Hans Reinhart, Harry Booth, Alex Durant, Maximillian, VINCENT, Kate Macrae and Charles Pizer. The second series is much more hard to find as only the Robot Sentry was marketed in the United States. The other three, STAR, Humanoid and Old BOB were only sold in Italy with a limited number sold in Canada. This is a custom action figure display stand, but it sure looks great! Like the large figures, none of the humans came with weapons. The Robot Sentry and STAR robots are identical except for their color and have tiny little hands and a chrome pistol. Without a doubt the Humanoid is the most rare although it can be found if you are patient. 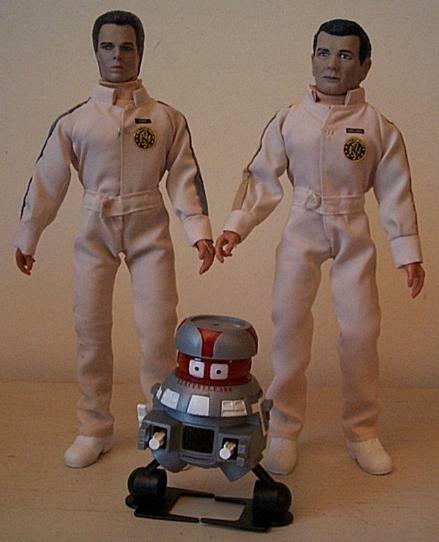 Mego released one vehicle, the Laserscope Fighter to go with the figures. 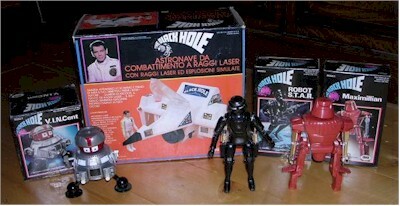 It is identical to the Buck Rogers Laserscope fighter with the exception of the Black Hole sticker. Not too impressive. I mean, how many other spaceships had the name of their movie on them? Sad. Using the experience Mego gained on magnetic figures from the Micronauts line, Mego released a series of 6" magnetic figures. Unfortunately, they were only sold in Italy. They are pretty pricey now, and getting your hands on a magnetic STAR will be quite a feat. Unfortunately, Mego stuck with the humans for the 12" line. Not a good idea. They did produce an 8" magnetic V.I.N.C.E.N.T. 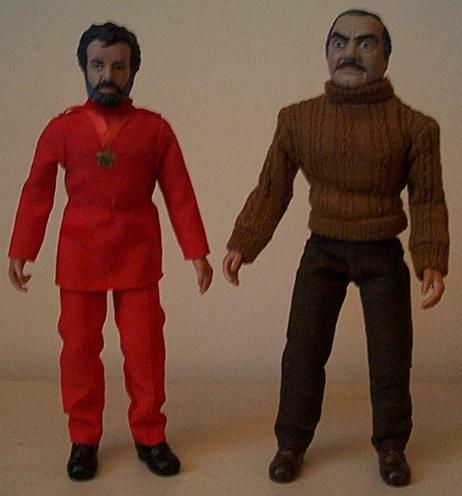 as shown below, but for whatever reason, Mego only released him in Italy (along with Magnetic Star and Maximillian figures) where they had a large production facility. The figures had a pretty good likeness of the movie characters, although Ernest Borgnine's head always looks out of scale to me. You be the judge. This is actually quite common. Fisher Price movie viewers did quite well. Ever wonder why the human action figures had no accessories? Disney would not allow Mego to market human toys with weapons. Talk about lame. Yeah, I know after Kenner released all of those Star Wars figures with laser pistols kids across the land were blasting each other into oblivion. It's not hard to figure out why this line failed. Have a question about a toy you have or one you are looking for? Send us an e-mail!